Please join us next week, January 21-25, in celebrating "I Love Public Schools" week. 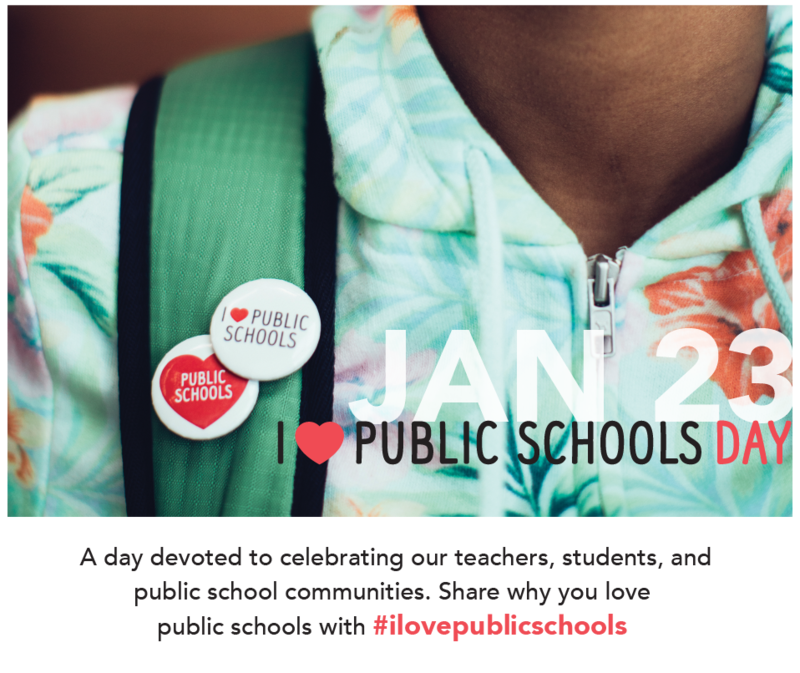 The official I Love Public Schools Celebration day will be January 23rd statewide. Each day we are asking staff and students to participate in the theme of the day.